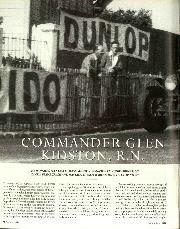 Commander Glen Kidston is best remembered as one of the legendary 'Bentley Boys' of pre-war days. Those wealthy, glamorous drivers of the big green cars that upheld British prestige abroad, particularly at Le Mans, where they won five times and got front-page publicity in leading daily papers. 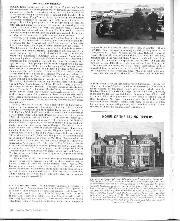 Legend told of how these rich, handsome drivers of fast cars, daring on the race circuits, lived in Grosvenor Square when not pursuing country sports, their Bentleys parked outside the Mayfair houses when exclusive parties were in progress, with the police knowingly keeping an eye on them the cars, not their influential owners. In an age long gone Kidston was one of them, although, in fact, he drove less than some of the others of the famous W O Bentley team and had adventures in a life packed with incident outside the motor racing scene. W O thought of Glen Kidston as a driver as fearless as Birkin, yet steady when necessary, and amenable to discipline, always so important when driving for a team. Thus was Glen Kidston the Naval Officer, strong, apt to stand no nonsense, and extremely good-looking, especially in uniform. 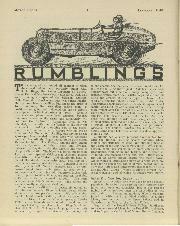 He took to riding motorcycles at an early age, of which his first was one of those advanced Belgian FNs with four little finned cylinders in line on the crankcase, and shaft-drive, and was soon into trials and speed-events, his favourite make the Sunbeam. It is said that he only took to cars after winning so many gold medals in the all-night-and-day MCC classic trials that it had become boring! He used to maintain these machines himself, and took part in impromptu speed trials with them while in Hong Kong, the Sunbeam having been part of his ship's cargo. He rode in the 1921 International Anglo Dutch motorcycle trial, and before that he had won the Arbuthnot Trophy. However, that is only part of the story. Prior to this Glen Kidston, born to adventures, tough, thickset, with broad shoulders, had decided at the age of 11 to join the Royal Navy. He followed the conventional course, entering the Royal Naval College at Dartmouth and, the passing-out examinations concluded successfully, Kidston became a young midshipman, on HMS Hogue. He was soon to see action at this very young age, because the Hogue was engaged in the Battle of Heligoland Bight, in the summer of 1914, and the following month was sunk, in company with the Aboukir and the Cressy, off the Dutch coast, by torpedoes from enemy submarines. Kidston escaped from these sinkings, as he was to do in subsequent desperate situations on land, water and from the air. Instead of being intimidated by his experience of U-boat warfare, the young midshipman sought to retaliate by taking the submarine course, and by 1917 had passed out as a hilly qualified Submarine Officer, having before that served from October 1914 to 1917 with HMS Orion, taking part in the historic Battle of Jutland. At the conclusion of the war Kidston was with the British prize-crews engaged in the takeover of the surrendered German U-boats at Harwich. In 1919, he served in submarines in the Baltic and the Far East, and was second-in-command of the world's largest submarine, X-1, surviving a dive from which it proved difficult to resurface after being trapped in the mud on the ocean floor for an alarming number of hours. He then found himself appointed to HMS Dauntless for the Imperial World Cruise. After the Armistice it was hardly surprising that this experienced and respected Naval Officer should seek exciting sports for relaxation. 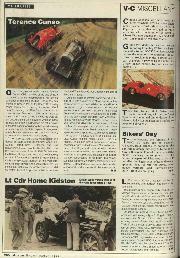 Of these, motor racing was foremost. But Kidston had also boxed quite usefully in his early Navy days, and was an enthusiastic performer on skis at the winter resorts, engaged in shoots, and fly-fished the fast-flowing Wye, close to the Welsh family seat. His taste in cars was catholic and ranged from a Salmson and a Baby Peugeot to sports AC and Hillman light-cars, a Chrysler, and a very elegant 37.2hp Hispano-Suiza two-door saloon. I recall being much intrigued by a picture of the last-named photographed on London's Embankment (in the days when traffic was moderate enough for a pause for this purpose) with its owner at the wheel in naval uniform. This was the 1924 Boulogne short-chassis showcar with Hooper body and much special equipment, which lapped Brooklands at 84mph. Then there were the Bentleys. Kidston ordered his first when he was still a Lieutenant in the Navy, a 3-litre Speed Model with Park Ward body, delivered in 1924. This was followed by an actual 3-litre Le Mans Vanden Plas tourer, in 1926. In 1925, price being no problem, Kidston had ordered one of the latest 2-litre straight-eight Grand Prix Bugattis from Molsheim, remarking that Ettore Bugatti was one of the only manufacturers who sold cars ready for an amateur to race. He entered for the Grand Prix de Provence, or Hartford Cup Race, to be run over 250km of the new Miramas track in France, changing naval uniform for white overalls, linen helmet and goggles. 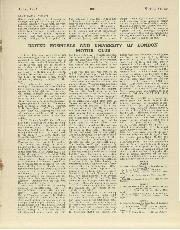 In this, his very first race, Kidston did remarkably well, getting into the English headlines. Although in the end the 1.5-litre Talbots, running unsupercharged, driven by Segrave and Count Conch, finished first and second, Kidston had led them three times, until forced to come in to rectify low fuel pressure. 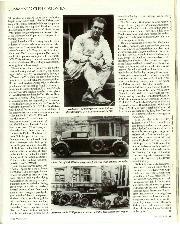 He resumed, to finish fifth behind Vidal's 2-litre Bugatti and George Duller, whose Talbot had been delayed when two plug leads came adrift Kidston had been driving for 4hr 10min 50sec, less than 12min behind the very experienced Segrave, beating seven other finishers. In the Gold Cup Race which followed, Thomas and Kidston again swept together off the banking to the finish, the Leyland-Thomas winning by 300 yards after a record lap at 126.41mph, the Bugatti doing 109.46mph. After this Kidston was tying with Thomas for Hartford Cup points put up by TB Andre, who supplied Hartford shock absorbers to most of the Brooklands' drivers. During 1926 Kidston had gained points with a second place in the VVhitsun Gold Cup race, and first place in a 90mph Short Handicap. Naval duties kept Kidston away from the Track at the end of the year. In November he married Miss Nancy Soames. It was one of the notable social occasions of the year, at St Margarets, Westminster — where else?The Lieutenant promised his bride he would give up motor racing and sold the Bugatti (XW 9557) to George Duller. As a safer sport he acquired a 14ft National Class Morgan Gyles dinghy, a change from submarining! The attraction of motor racing was too hard to resist, and having met W O Bentley, Glen Kidston began his 'Bentley Boy' associations by driving at Le Mans in 1929, bringing the first 4 1/2-litre Bentley home to finish second, behind the winning 6 1/2-litre. He was paired with Jack Dunfee (who, let it be whispered, once told me that he found Le Mans easy compared to lapping Brooklands at over 130mph in a heavy car); the Bentleys came home triumphant in 1,2,3,4 formation at the end of the 24 hours. Those were good results, calling for stamina, acceptance of team orders and, one might add, the obvious one of good night-vision. But it was in the Phoenix Park Grand Prix in Ireland in July 1929 that Glen Kidston pulled out all the stops and gave an exhibition of his ability to drive to the extreme edge when it was called for. 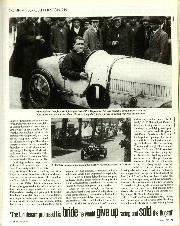 He had 'Old No 1' Speed Six (the cause of that well-remembered court case of recent memory) and after Birkin in a blower-4 1/2 Bentley had worn down Thistlethwayte's Mercedes-Benz, there was Boris lvanowski's 1 1/2-litre Alfa Romeo to catch. Only the Speed Six, of the seven Bentleys which started, could do it. Kidston was equal to the challenge but the melting tar made it just too difficult; the heavy Bentley slid into a bank and the Italian car won by just 14 seconds after 300 difficult miles. But the Bentley made the fastest race time at 79.8mph in this handicap race, compared to Birkin's 79.0mph. 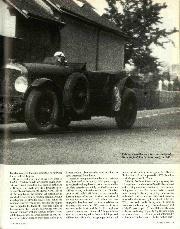 Justifiably, Kidston was trusted with 'Old No 1' Speed Six Bentley for the 1929 Ulster TT. He once again demonstrated his ability to drive very fast, with Kidston holding the flying Caracciola on the teeming wet road, but this came to an end when the big green car got into a skid he could not control coming down Bradshaw's Brae, to miss a telegraph pole by the proverbial hair's breadth and go over the bank after a notably long slide, with the Bentley's wheels straddling the mound, so that retirement was inevitable. That had happened on lap five, but Bernard Rubin had been caught out on the very first lap when his 4 1/2-litre Bentley overturned; however no-one was much hurt. That November, Kidston had another narrow escape. He was flying with a German prince from Croydon to Berlin in a Luft Hansa Junkers trimotor monoplane when it flew into a hill near Caterham and burst into flames. Kidston, his clothes alight, kicked out a panel and escaped, the only one of six occupants to do so. The commander had a crack at the 1930 Monte Carlo Rally with a 6 1/2-litre Bentley saloon, starting from John O'Groats, but it slid into a wall on sheet ice before reaching Glasgow and bent its front axle. For the 1930 JCC Double-Twelve' Kidston was paired with Jack Dunfee in one of the blower-4 1/2 Bentleys, but it broke a valve. He was back again in the famous and hard-worked Speed Six for that year's Le Mans race, with none other than Woolf Bamato, the millionaire whose financial intervention, had saved the Bentley company. It was one of Glen's great successes, when he worked calmly with Barnato and they won at 75.88mph. After which the Bentley company retired from racing and Kidston turned to his aviation pursuits. I was reminded that when Kidston kept an aeroplane at what is now the Royal Welsh Show Ground at Bath Wells, his sisters would get out a Bentley and try to race him to the family house. 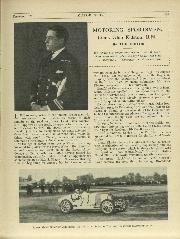 In 1930, Lt Commander Kidston entered his D118 Puss Moth G-AAXZ for the King's Cup race. Later he acquired a white and black Lockheed D1 -1 Special Vega G-AGBK and with it established a record for a commercial aeroplane, by flying from Croydon to Le Bourget with three passengers in 1 hr 20min. Soon after this, in March 1931, Kidston took off from the military aerodrome at Netheravon with the celebrated pilot Owen Cathcart-Jones in the 420hp Wasp-engined Vega, and with the help of Marconi wireless operators, who changed over at Cairo, set a new England-Cape Town record of 131.8mph for the 7500 miles. The powerful cabin-monoplane had been in the air for a total of 57hr 10min. Incidentally, the hope of building Lockheed Vegas in this country was apparently frustrated by the British aircraft industry. Sadly, this brave and adventurous man's career ended when the Lt Commander was flying with Capt Gladstone, over the Drakensberg mountains in Natal, Africa. His DH Puss Moth ZS-ACC broke up and both occupants were killed. The weather was turbulent and it was suggested that baggage in the cabin had broken loose and caused the accident. But after eight similar accidents, investigations showed that, in such conditions, the wing structure could not take the strain. So, through no fault of his own, Kidston, who had survived so many close calls far from home, was killed at the age of 31.